*You are limited to 4 people, one vehicle and RV or tent per site. Unless your receipt indicates otherwise, you must occupy the site that is issued to you. Quiet time is between 11pm and 8am Any and all noise is to be limited to your site at all times. Please respect your neighbors. *Visitors must register in the park office. All visitors must leave by 9pm. There is a limit of two visitors at a time per site. *Pavilion, playground and ball fields are closed after 9pm, unless organized park activities are in progress in those areas. *There is a 10pm curfew for children under 18 years of age. Children must be at their sites at that time unless accompanied by an adult. *No bike riding after 8pm. Please help us keep the campground neat and safe for your enjoyment. * Lighting and electrical wires are not permitted on trees and bushes. It is limited to your trailers, fences and walkways. Lighting must be confined to your site and must not infringe on your neighbors. *Do not dismantle or make any new fire rings. We are trying to lessen the environmental impact. Campfires must be reasonable and safe. *Firearms and other weapons (including paintball and BB guns) as well as chainsaws, fireworks, portable electric heaters and washing machines are not permitted in the campground. *Pets are permitted but must be kept on a leash. Even friendly pets can scare strangers. Please clean up after your dogs and keep them from barking excessively, especially at night. *Construction of unsightly structures is prohibited. All structures must be pre-approved by the park supervisor. 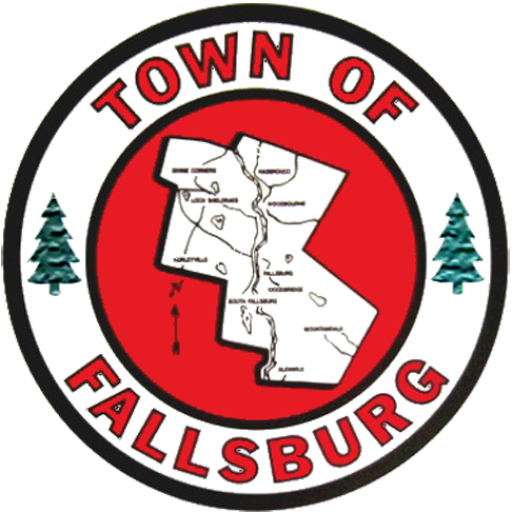 All structures must conform to the Town of Fallsburg building codes. The park reserves the right to remove any non-approved structures at the owner’s expense. *When you leave your site for an extended period of time or retire for the evening, fires must be extinguished. *Please do not injure any trees or deface or misuse the park facilities. *Anything and everything you bring into your campsite must be taken when you leave. *Insubordinate behavior towards our staff will not be tolerated and may result in dismissal from the park and or prosecution by local authorities. Any violation of the above rules and regulations may result in the termination of the privilege to camp in our park, without refund of any fees, by order of the Town Board of the Town of Fallsburg.